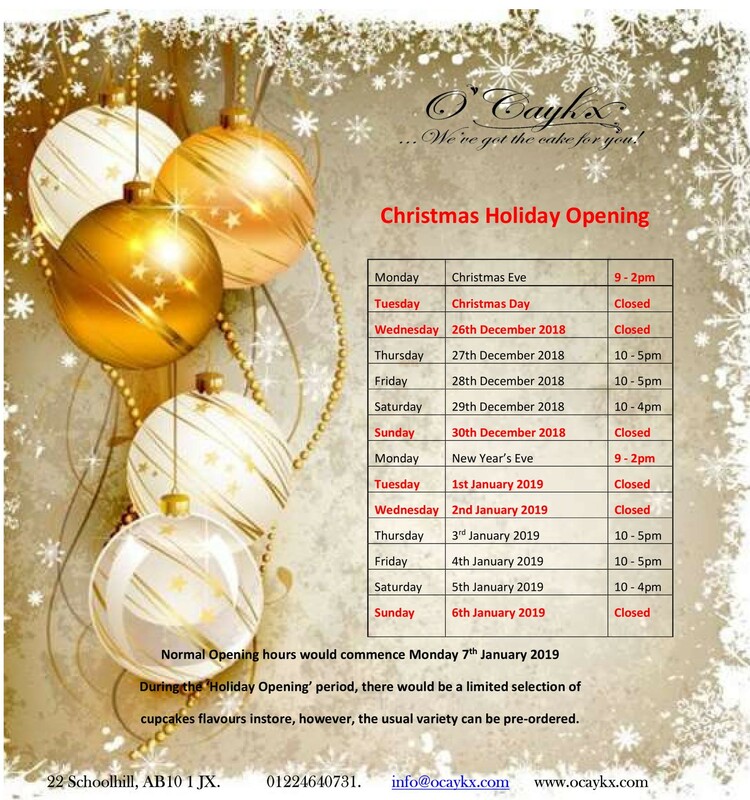 Below are our opening hours. Delivery would not be available during these times. For orders required during the holiday period, please call the shop on 01224640731 and someone would be happy to take your order.